Louisville, Lexington and Bowling Green are some of the culinary hotspots in Kentucky. Here is where you’ll find access to some of the state’s best schools for culinary education. Kentucky’s most sophisticated and inventive food is also on display in these population centers. Culinary programs within the state vary across school types. For example, four-year colleges and universities deliver culinary arts and hospitality degrees with a strong business emphasis, while 2-year community colleges pack in practical kitchen skills and classical cooking techniques. Basic supervisory skills and management theory are also a part of most two-year programs. For a fast track to the workforce, focused certificate and diploma programs impart the practical training required for immediate entry-level employment in food-prep settings, like restaurants and large-scale commercial kitchens. These abbreviated study modules are not designed to place you in management positions, but they get you on-the-job quickly, to start climbing the kitchen ladders from within. There are plenty of worthy schools from which to choose, so refine your career ambitions before setting forth. Are you interested in getting to work ASAP? Or are you able to devote an extended period of time to acquiring an advanced chef’s credential? Answering questions like these helps you navigate the myriad of available degree types and study tracks. Once you’re enrolled, make the local food scene a top priority. Whether you’re in Lexington or Louisville, it’s up to you to experience popular dishes and sample the best local fare. Learn from the best chefs in the area, by dissecting their menus and identifying nuances in their cooking that set them apart. Absorb Kentucky’s food culture with an eye toward locally produced ingredients and traditional regional cooking practices. Annual World Chicken Festival- London - Colonel Sanders opened his first restaurant in Laurel County, KY, so this festival celebrates that chicken heritage. Southern fried hospitality always includes a nod to the quintessential Dixie meal of chicken, biscuits, greens and taters. Sample it at its source. As a member, you have access to benefits like job postings, career fairs, and members-only industry events and conferences. Networking opportunities with like-minded professionals lead to apprenticeships and other work-study positions. Who you know can be the difference in moving your career forward. Scholarships and educational seminars are often part of a professional association’s mission, so it is never too early to get involved with a seasoned group of chefs. National Center for Hospitality Studies at Sullivan University is a world-renowned curriculum designed for a wide variety of industry specialties, including culinary arts and pastry arts. The school teaches four 11-week semesters each year, and offers some unique options for specialized majors. The Personal Chef Diploma program prepares students for a private chef role as an individual or corporate food provider. The Beverage Management Associate’s Degree is another specialized hospitality credential that the school offers. Three quasi-commercial enterprises on campus allow students to experience the pressure of high-volume food production. Winston’s Restaurant, Juleps Catering, and The Bakery treat operations just like a for-profit entrepreneur would. 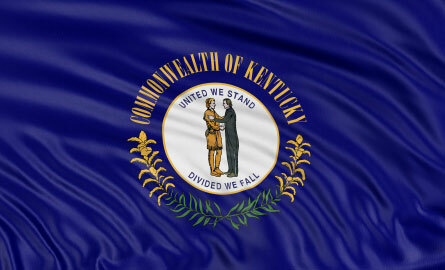 Grads are well respected for completing this nationally known program in Kentucky. Ashland Community and Technical College – The curriculum for chef students is drawn from the philosophies of the American Culinary Federation, Academy of Chefs, and National Restaurant Association Education Foundation. Quality education is dispensed in three distinct areas of study: Culinary Arts, Catering and Food and Beverage Management. A.A.S. Degrees are offered in each discipline, alongside Certificates of achievement that can be completed in less than a year. Professional campus dining rooms and kitchens provide the perfect venues for the type of hands-on training that leads to a high job placement rate. Elizabethtown Community and Technical College – Another installment in the comprehensive Kentucky Community and Technical College System. All programs are not available on each campus, so to learn the lay of the land, check with each campus directly. The Kentucky system does a great job of meeting the demand for skilled hospitality professionals in the state. Culinary Arts programs at the campuses where they are offered give graduates a leg-up by instilling kitchen fundamentals and techniques used on the job. Business and management classes are also part of your curriculum if you choose to pursue a management–oriented Associate’s Degree like Hotel and Restaurant Administration, or Culinary Management.